We are delighted to have been awarded 2nd Prize for the design of the Memorial to the Fallen and Missing Persons of Pera Oreini. For this proposal, we have collaborated with architect-artist Antonis Stylianou. The design envisions the creation of a texture-rich landscape with soft and hard surfaces including a cascading water feature. The location adjacent to the current Elementary School provides play opportunities and interaction with a place that reflects much of the history that defines the village of Pera Oreinis. 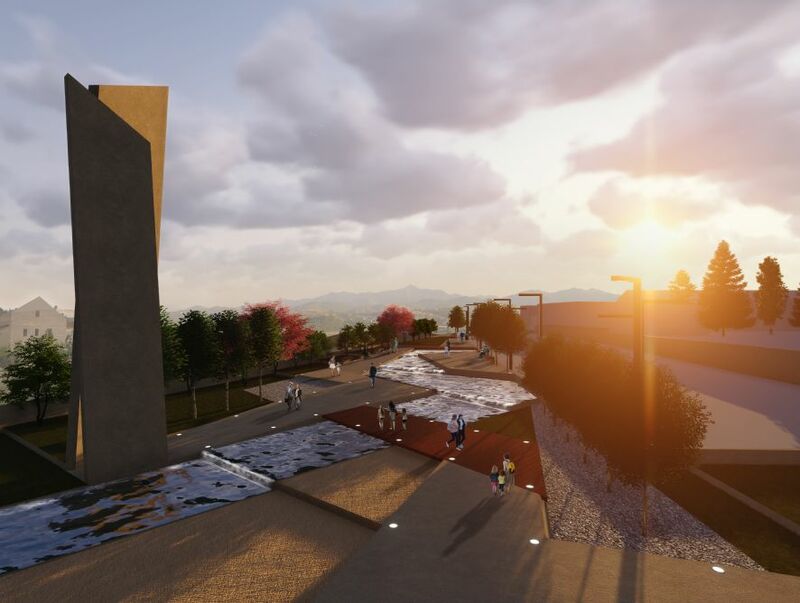 The committee had the following to say: "The second prize study is characterized by a dynamic and contemporary approach to commemoration space, indicated through its extensive landscaping and through the scale and form of the monument itself. It is a proposal for a monument with a strong presence, bold and modern."